The exhibition Canone Inverso presents four large-scale installations by four Italian artists: Alessandro Cannistrà, Peter Demetz, Rocco Dubbini and Gino Sabatini Odoardi. In music, a "canone inverso" (eng: canon) is a contrapuntal composition that overlaps one or more imitations of a melody, played or sung progressively over a given duration at different intervals, so that the consequent voice moves in contrary motion to the original melody. The "canone inverso" was used primarily by Franco-Flemish composers in Italy during the fourteenth and fifteenth century and was masterly used by J.S. Bach, and more recently by the second Viennese school. This technique, known and used by all great composers, is based on a logical and mathematical concept of music, contrary to the common belief that music is about feeling, not reason. The exhibition Canone Inverso explores the balance between sentiment and reason by looking for a counterpoint between contemporary iconography and materials with compositional techniques of ancient artistic tradition in the visual arts, as in music. 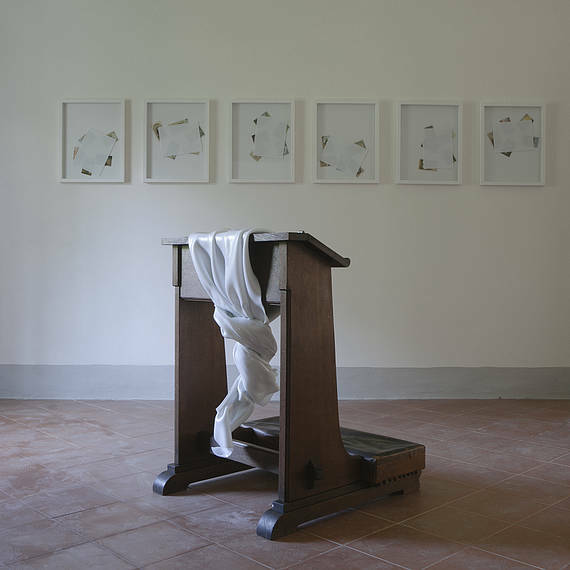 The development of the exhibition Canone Inverso has allowed for the partial recuperation and public reopening of some of the rooms in the ancient Canonica in the Carthusian Monastery of San Giacomo, Capri. 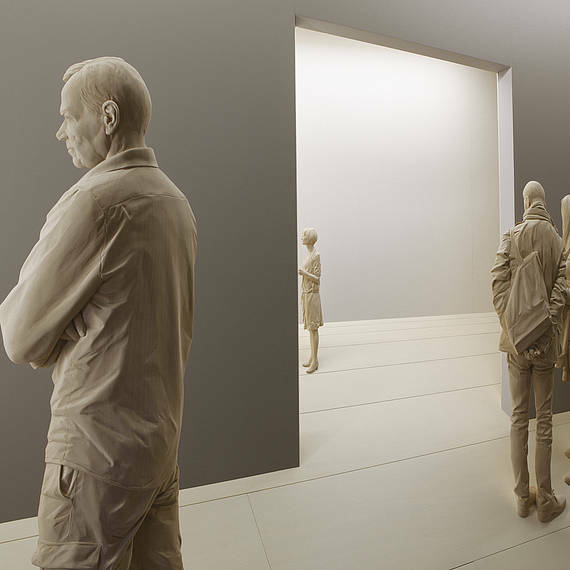 The artists invited to participate in the exhibition have placed installations in these rooms, selected on a basis of having certain formal characteristics in common, creating a harmonious dialogue between the works and the historical spaces that contain them. 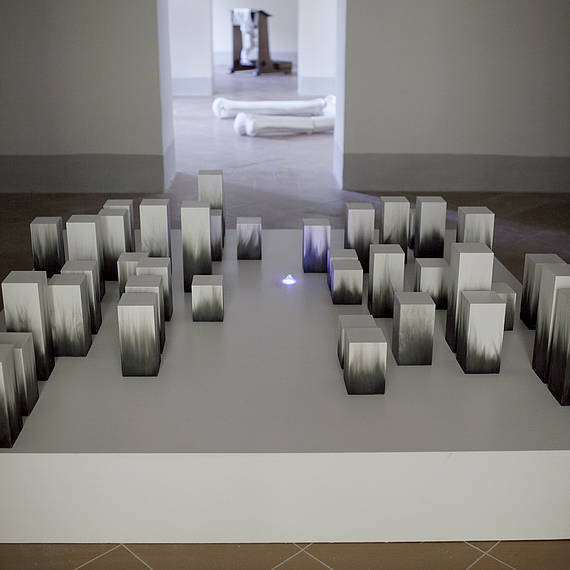 Each installation displays extreme rigor of techique and clean formality, based on the counterpoint between light (white) and dark (black) and by the contemporary appropriation of ancient, compositional geometries (solid, accelerated perspective, the golden ratio etc.). They are, so to speak, "canonical". Canone Inverso is organized by the cultural association CAPRI - THE ISLAND OF ART with the Polo Museale della Campania. The exhibition is part of the art festival CAPRI - THE ISLAND OF ART, organized by the cultural association in partnership with the Council of Capri and Anacapri. 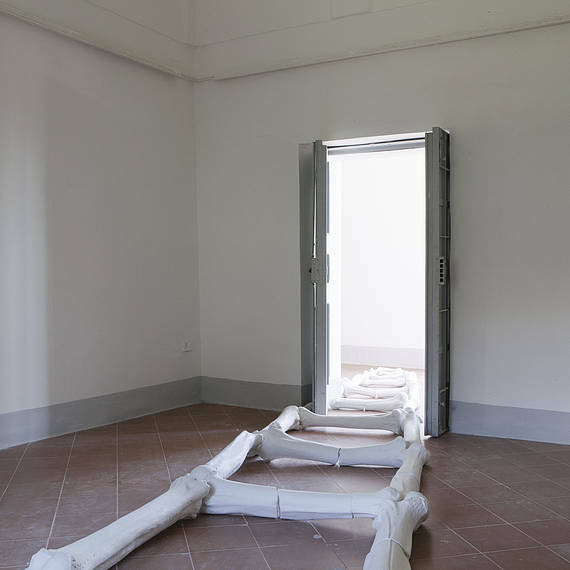 For the duration of CAPRI - THE ISLAND OF ART, the Canonica will also host the video documentation of Santiago Sierra's traveling project NO, Global Tour - whose largescale sculptural installation will be visible in the Piazzetta of Capri's funicular, which recounts the trip of the big "NO" around the world. Linden and acrylic, 300 x 450 x 10 cm.